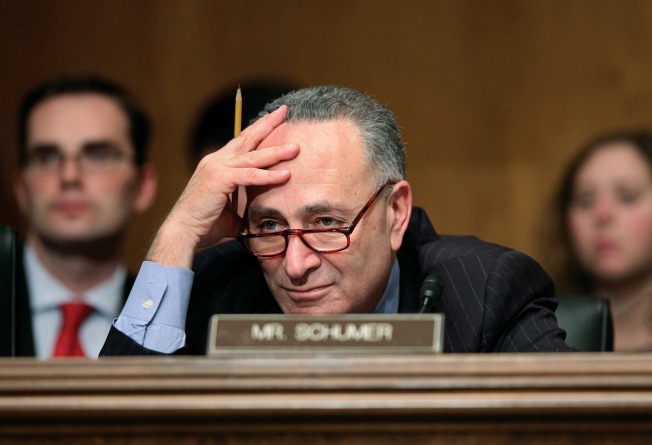 New York Senator Charles E. Schumer will appear on CNN's State of the Union. With the Senate reaching a tentative compromise on Friday, top members of the administration and lawmakers from both parties will appear on the Sunday shows to discuss the stimulus package. Top White House economic advisor Lawrence Summers will face off with Republican Sen. John Cornyn (Tx.) on "Fox News Sunday." Summers also appears on ABC’s “This Week” along with new Republican National Committee Chairman Michael Steele. Later on "This Week," host George Stephanopoulos will hear from a panel of former House Speaker Newt Gingrich (R-Ga.), ABC’s Claire Shipman, Clinton Labor Secretary Robert Reich and conservative columnist George Will. Senators John Ensign (R.-Nev.) and Sen. Claire McCaskill (D.-Mo.) will spar over the stimulus on NBC’s “Meet the Press,” as will Reps. Barney Frank (D-Mass.) and Mike Pence (R-Ind.). And CNN’s “State of the Union” lands Senators. Richard Shelby (R-Ala.) Charles Schumer (D-N.Y.), and Transportation Secretary Ray LaHood and Gov. Mark Sanford (R-S.C.). On Bloomberg Television's "Political Capital," Al Hunt interviews Senators Charles Grassley (R-Iowa). Cornyn will also appear on C-SPAN’s “Newsmakers,” where he will take questions from Jennifer Duffy of the Cook Political Report and Politico’s Josh Kraushaar.